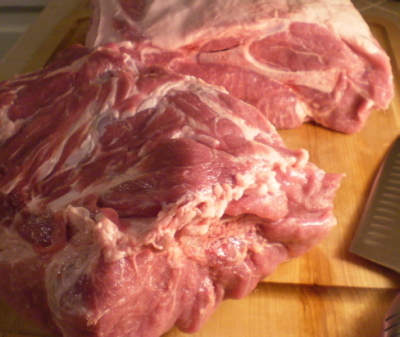 Thirty-six pounds of pure porcine pleasure. Mmm, mmm! Wanna take a look at what I did with it? You know you do, doncha?? Number 66 at my parents’ restaurant was a dish called Steak Kue. Open ordering, a ribeye was quickly seared on an old, flat, blackened grill. 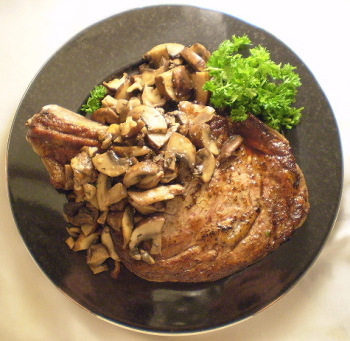 The steak was quickly cut into pieces and stir fried with celery, bok choy, mushrooms and onions. 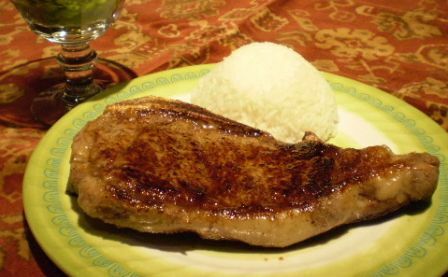 Thickened with a cornstarch slurry, the natural gravy was set apart by “a touch of oyster sauce.” The heavenly marriage of oyster sauce and beef was the inspiration for this Perfect Steak recipe. 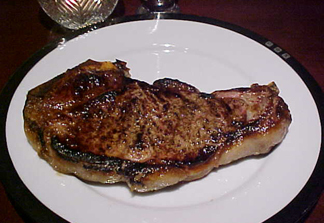 Cooking The Perfect Steak – Part Six…with gas! There is nothing better than cooking with gas. 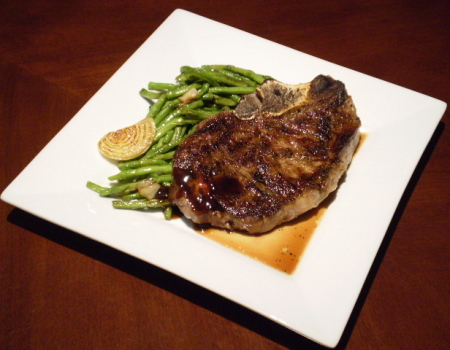 After having a new gas cooktop installed recently, I knew I would have to test out the ultimate recipe – steak! 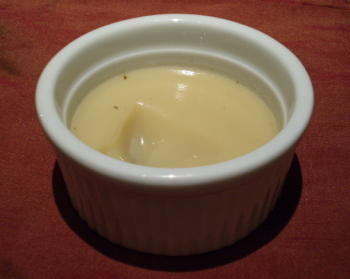 No, this is not a recipe for creme brulee. It is indeed a post about my attempts to cook The Perfect Steak. 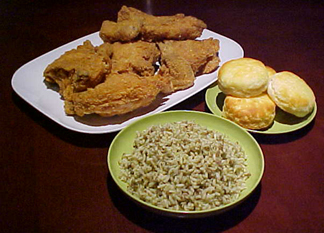 And for this post, I only have two words: Bacon fat. 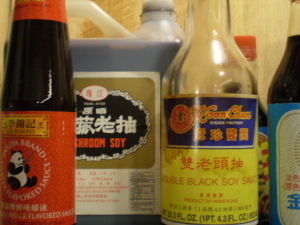 Light soy sauce, dark soy sauce, oyster sauce….what are they, and what’s the difference?! Ever the purist, I hadn’t really thought about how any number of accoutrements could enhance a good steak. 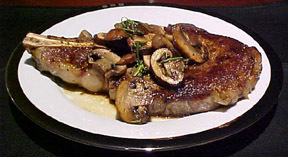 A saute of crimini mushrooms, garlic, fresh herbs and butter was the perfect topping for this succulent bone-in ribeye…. Sometimes, you just have to do it…. Do you know the Milchigs? 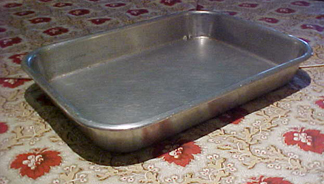 Love of a favorite pan leads to a lesson in Jewish custom. Happy Passover, with Matzo Love!